Design your own tropical villa! 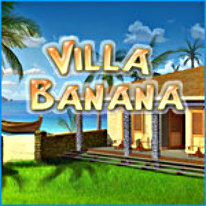 Welcome to the tropical paradise of Villa Banana! Work your way through adorable puzzle levels with tons of juicy fruits in the sunny island setting! Design your own villa on the seashore in the engaging puzzle game. Earn lots of gold and silver to buy new upgrades. Purchase pink flamingos or exotic peacocks walking on the emerald green lawn of your garden. Use your Match 3 skills and awesome power-ups to set the highest score in the Challenge mode!